Are You Really Prepared for Job Search? 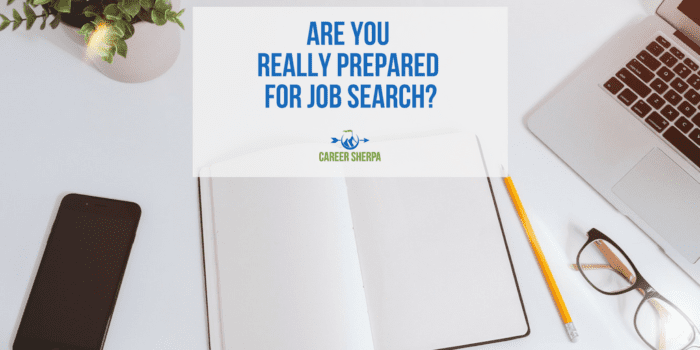 How prepared are you for job search? Do you have the skills, confidence and network to help you to hit the ground running? Results of Lee Hecht Harrison 2013 online survey of 645 job seekers. What exactly do these numbers mean? What I think this points out is that the majority of people are not proactively managing their longer-term careers. 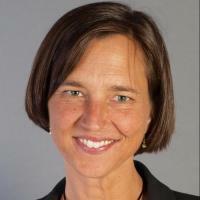 This points out that perhaps they have been caught flat-footed- or at least out of date with many of the techniques necessary in today’s job search. It has been my observation working with job seekers that the majority are uncomfortable and avoid networking at all costs. Additionally, while some have a LinkedIn account, most just use it to search for jobs. Therefore, my interpretation of these data is that the job seekers surveyed are underestimating the importance of networking and social media as indicated by the low percent who think their skills are ok in this area. Jobvite, developers of a recruiting platform, reported that over 90% of companies use or plan to use social media to recruit. What this means for job seekers (active or passive) is that you must have a professional social media presence if you want to be ready for job search. What does this mean? And DO NOT overlook Twitter, Facebook, Pinterest, Instagram and other social networks. You will want to hit the ground running as you embark on your job search! You really don’t want to waste time trying to figure stuff out! Start today- no matter what your employment status. Don’t discount the importance of a professional, on-brand social media presence. Begin increasing your familiarity with LinkedIn first. Take advantage of its portfolio-like features and group discussions, and maximize the keywords in your title, summary and experience sections. LinkedIn is the “go-to” hub for recruiters and hiring managers, however, they are searching for information online too. Establish an active presence on LinkedIn- Read Is Your LinkedIn Profile Awesome? Take control of the information you provide online and build a strong professional presence to ensure the best information is discovered first. Social media isn’t just about what you had for breakfast, it is strategic marketing and relationship building rolled into one. If you were launching a new product in the market, you would have a detailed plan outlining how you would introduce it to potential customers. Here’s the scoop: You are that new product, so ask yourself: “Who are my potential customers and how will I make them aware of my services?” In other words, who are the companies that need you to solve their problems? When you identify companies that need your skills, it enables you to proactively market yourself to hiring managers and inside connections instead of waiting for a job to become posted. Initiating outreach efforts before a job is publicly announced also gives you greater exposure because you aren’t competing with hundreds of applicants for the hiring manager’s attention. Setting a realistic time frame for landing your next job helps prevent frustration and sets the pace. Employers are taking longer to fill vacant jobs, some even claim they are having difficulty finding the right talent. There’s an old rule of thumb that suggests it takes one month for every $10,000 you made to find your next job. If you made $60,000, a conservative estimate is that it would take approximately six months to secure a new job. This should help you budget and plan for the long haul ahead. Treating your job search like a full-time job requires more than just going through the motions of filling out online applications and submitting resumes. It means using a calendar to schedule your activity every day. It also means creating a project timeline and developing a system to ensure important follow-up actions don’t slip through the cracks. You are building a new routine and habits that require you to stick with this often uncomfortable new system for at least 30 days. If you think you can search for a job alone, the answer is, you can’t. Job seekers struggle in their job search because they lack the guidance and support needed to be effective. Because your job search is likely to take longer than you want, you’re going to need a wingman or two for ideas, advice and the occasional pep-talk. Joining a job club or enlisting the help of a coach can make all the difference to your securing a job quickly. Networking is not sending an email blast to all your contacts informing them of your quest for a new job. Only 11% of the respondents to the survey admitted they needed more help in this area. Could this be because networking is one of the most misunderstood concepts? Maybe it’s because more than one-third of the U.S. population is made up of networking-adverse introverts. Networking isn’t a one-time transaction – effective networking has to begin before you need a new job. It is establishing trusting, long-lasting relationships and this happens when you exchange mutually beneficial information. The take-away here is don’t overestimate your networking prowess. Read: Networking Is a Waste of Time – Or Is It? You don’t need an advanced degree in a job search, but you do need to understand proactive techniques and understand what is expected by recruiters and hiring managers today. You will need to put forth more effort than ever before. 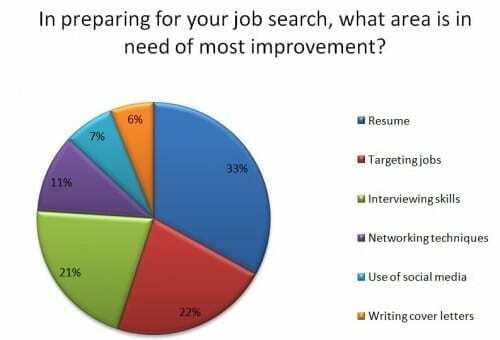 It would be wise to conduct a quick self-assessment of your job search preparedness and be sure to measure your strengths in time and project management, proactive marketing and learning more about social media. Luckily, there is no shortage of information online. Read: Is It Time For You Job Search Check-Up?